233 East 70th Street Apt 6V, New York, NY 10021 | Sotheby's International Realty, Inc.
Don’t miss this turnkey bright studio apartment! Completely renovated with high quality materials and custom designed work provides a seamless open floor plan. The layout of the Kitchen has been re-designed to complement the space, featuring a large breakfast bar that can accommodate 3-4, built in desk/workspace and top-of-the-line stainless-steel appliances. The bath has been beautifully outfitted and modernized: brand new fixtures and a separate built-in Vanity with granite countertops and custom cabinetry. The Living Room has a built-in, high quality finish Murphy bed that accommodates a queen bed, it is incredibly easy to use and doubles as a dining room table. Apartment 6V has everything you need and more to make it home! 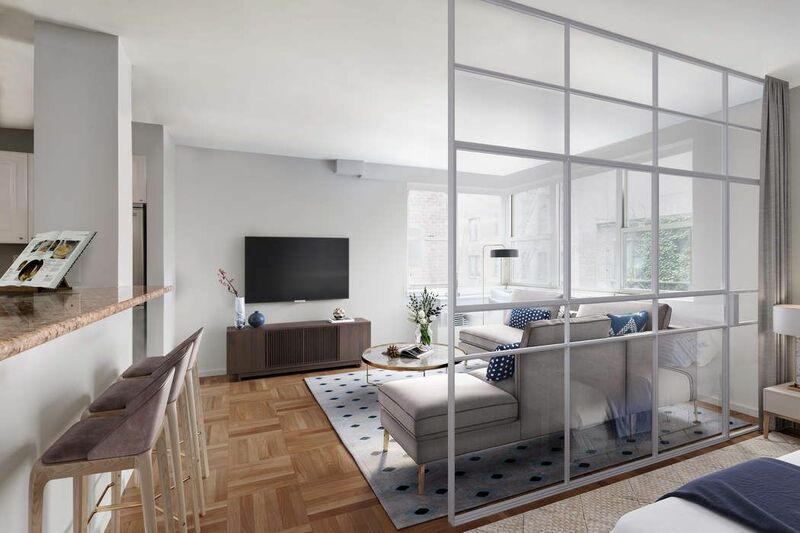 233 East 70th Street is located along a quiet, tree-lined block on the corner of Second Avenue, just two blocks from the new Q line and conveniently located by great shopping and top-rated restaurants. With only 5-6 apartments on each floor, this full service Co-op offers fantastic amenities such as: full time doorman, newly renovated gym, storage, bike room, and central laundry. This building is pet and pied-a-terre friendly, allowing 80% financing and co-purchasing. 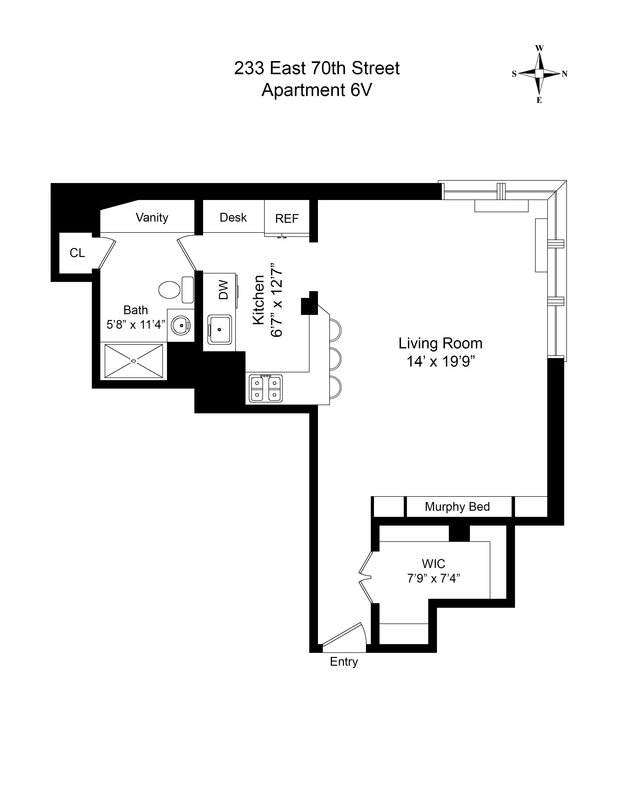 Don’t miss this turnkey bright studio apartment! Completely renovated with high quality materials and custom designed work provides a seamless open floor plan. The layout of the Kitchen has been re-designed to complement the space, featuring a large breakfast bar that can accommodate 3-4, built in desk/workspace and top-of-the-line stainless-steel appliances. 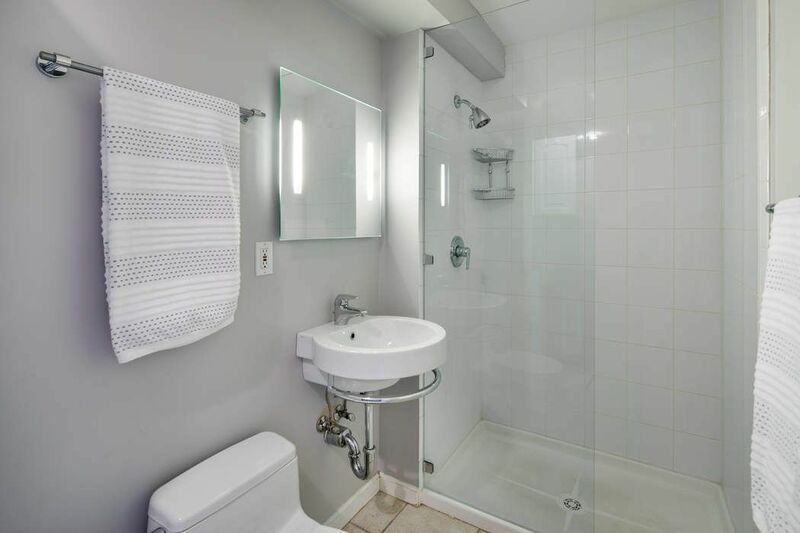 The bath has been beautifully outfitted and modernized: brand new fixtures and a separate built-in Vanity with granite countertops and custom cabinetry. The Living Room has a built-in, high quality finish Murphy bed that accommodates a queen bed, it is incredibly easy to use and doubles as a dining room table. 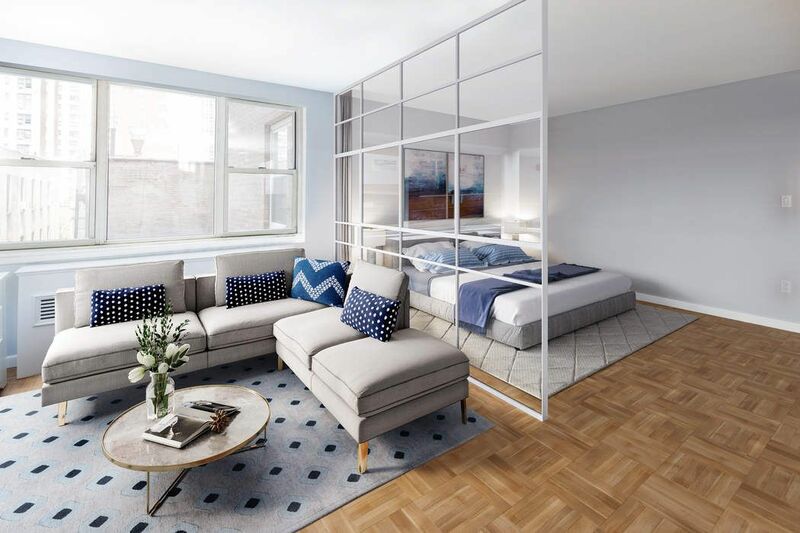 Apartment 6V has everything you need and more to make it home!233 East 70th Street is located along a quiet, tree-lined block on the corner of Second Avenue, just two blocks from the new Q line and conveniently located by great shopping and top-rated restaurants. 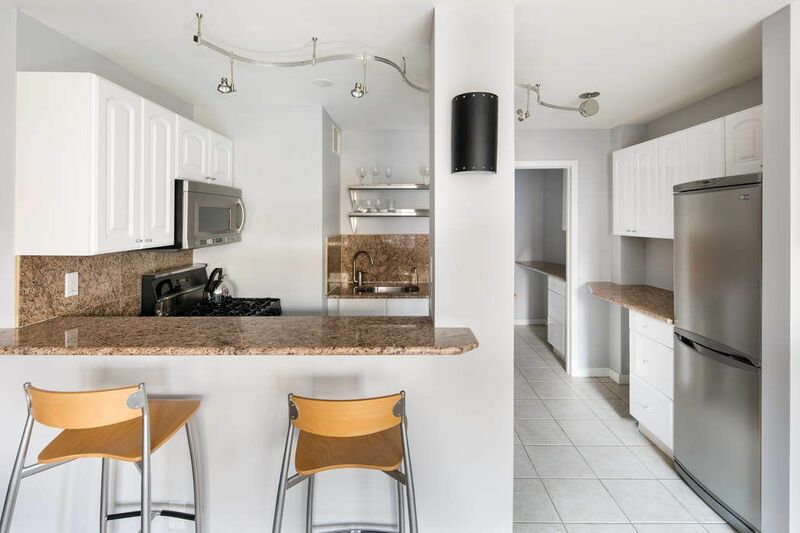 With only 5-6 apartments on each floor, this full service Co-op offers fantastic amenities such as: full time doorman, newly renovated gym, storage, bike room, and central laundry. This building is pet and pied-a-terre friendly, allowing 80% financing and co-purchasing.